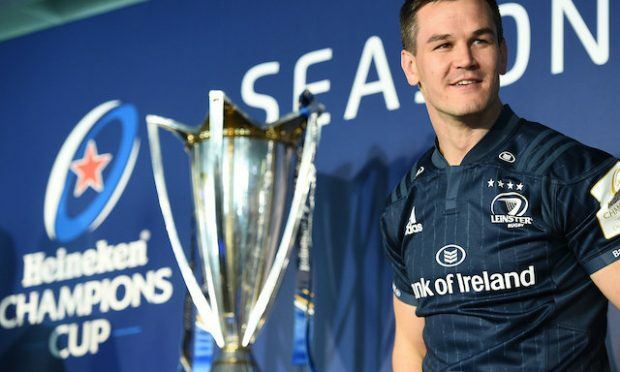 At their most dangerous when their backs are against the wall, Round Towers ensured this year’s championship semi-final line up remains wide open. Knowing that victory was a must, if the south Londoners were to keep alive their semi-final hopes, they edged out 14-man St Kiernans in an absorbing clash on Saturday. 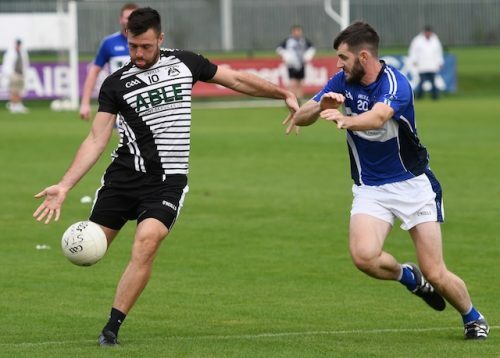 While Tir Chonaill Gaels and Fulham Irish have been holding court in Group 1, the south Londoners’ victory means it could be calculators at the ready next weekend to decide the batting order in Group 2. Following last Saturday’s exertions, Towers face Cuchulainns knowing that a win of any kind could be enough to send them through, provided North London Shamrocks overcome Kiernans. 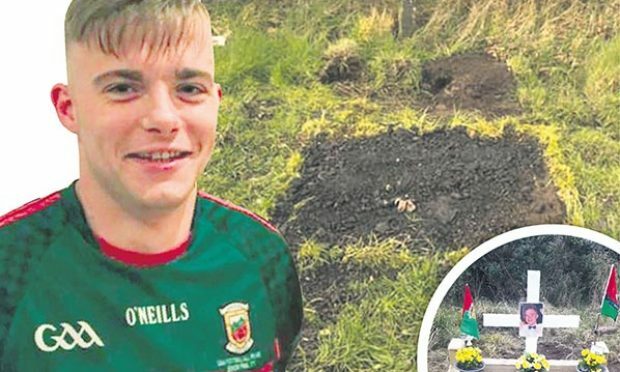 On this evidence, Towers will be well-fancied to do just that, but Michael Maher’s side will be wary of a Cuchulainns team which found the back of the Shamrocks net four times. 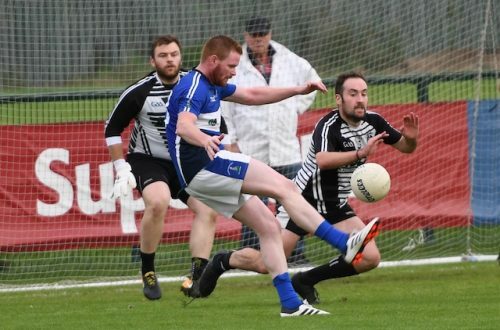 Kiernans, meanwhile, will believe that victory over Shamrocks is a must if they are to have a chance of progressing. If they prevail, then it could all come down to points difference. 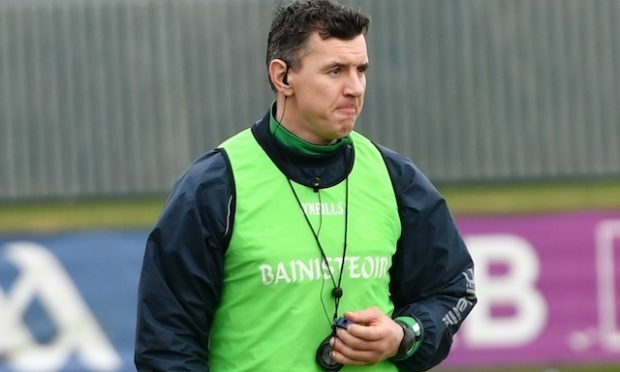 If Kiernans miss out, they’ll rue Barry Tully’s 11th minute black card, which was upgraded to a straight red by John Doyle for Tully voicing his disagreement a little bit to vehemently for the referee’s liking. The score was tied at 0-3 a piece when Tully received his marching orders. But Towers struggled to take advantage. Indeed, for the next 30 minutes or so you’d be hard pressed to know at a glance that Kiernans were a man down. 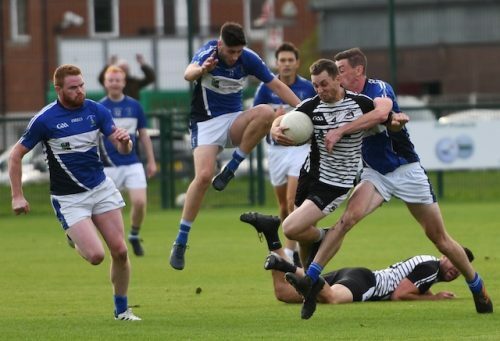 Kiernans were still able to move up the pitch with ease, with Michael O’Donoghue and Mark Mulholland working tirelessly, while James Moran had a storming game. Pressing Noel Maher’s kick-outs, O’Donoghue forced a turnover before being fouled. It was a straight-forward free opportunity for Adrian Moyles, but the quick-thinking Michael O’Donoghue instead played in Kenny O’Connor and he rounded Maher to goal. Towers were back on level terms in first-half injury-time when Thomas Hill’s ball in found Paul O’Donoghue, only for the Towers man to be held back. Sean Hickey stepped up to send Brendan Mulrooney the wrong way and tuck the ensuing penalty kick into the opposite corner. There was just enough time for O’Connor to fire over a fine late score to see Kiernans lead 1-5 to 1-4 at the break. They extended that immediately upon the restart when Moran played a neat one-two with Keith Curran, only to be brought down for the game’s second penalty. Tom Waters despatched his spot kick with all the same confidence as Hickey. Moyles extended the Kiernans lead to five points after Michael Murtagh’s wayward pass was seized upon. Towers needed someone to drag them back into the game, and it was Paul O’Donoghue who grabbed his teammates by the scruff of the neck. His much-needed point was followed by another from the hardworking Kenny Rigney. Rhys Lennon, who otherwise had a fine game, spurned a glorious chance when played in by the ‘ball of the game’ from Michael O’Donoghue. But Lennon blazed wide. Play immediately switched to the other end, and Liam Feerick set off on a run before turning the Kiernans defence inside out and planting a low shot past Mulrooney. It was a superb finish. When Tomas Hanley pointed in the 44th minute, Towers led 2-7 to 2-6. It was the first time Towers had led in the game. When a fist-pumping Paul O’Donoghue extended the lead, Towers sensed the tide had finally turned. Moran replied, but Hickey suddenly found himself one-on-one with Mulrooney and he made no mistake to claim his second goal. That gave Towers the breathing space they needed. 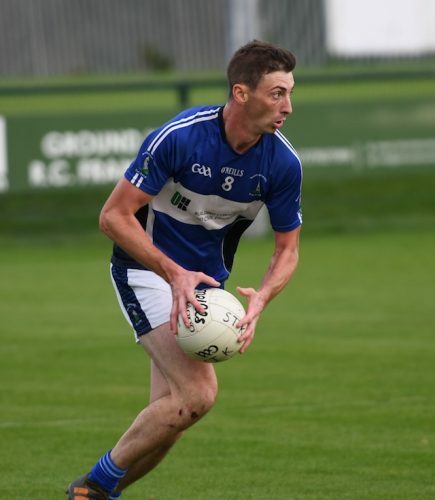 Round Towers: Noel Maher; Michael Murtagh, Bearach Doherty, Phelim Farrelly; Colin Dunne, Pat Daly, Kenny Rigney (0-1); Liam Feerick (1-0), Paul O’Donoghue (0-6, 3f); Tomas Hanley (0-1), Thomas Hill, Ronan Boyle; Conall Scott, Brian Breslin, Sean Hickey (2-2, 1’Pen). Subs: Alan Dunne for Scott, Billy Manley for Hanley, Dave Sheridan for Farrelly (B/C), John McKeever for Boyle. 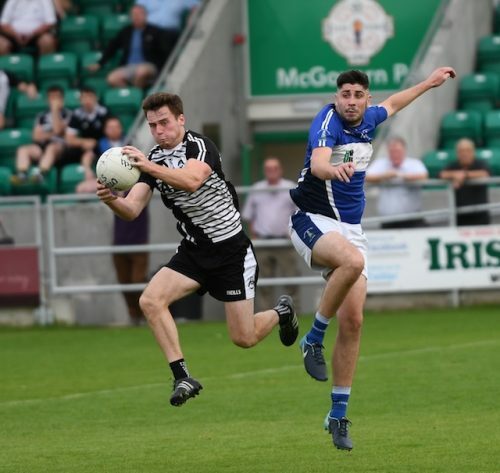 St Kiernans: Brendan Mulrooney; Geoff Kingston, Keith Curran, Ciaran Healy; David Carrabine, Shane McManus, Rhys Lennon; Danny Ryan, James Moran (0-1); Tom Waters (1-1, 1’Pen), Adrian Moyles (0-3, 2f), Barry Tully; Mark Mulholland (0-1), Kenny O’Connor (1-1), Michael O’Donoghue (0-2, 1f). Subs: Grey Lyons for Lennon, Stephen Curran for Ryan, Brian Rutledge for Mulholland.